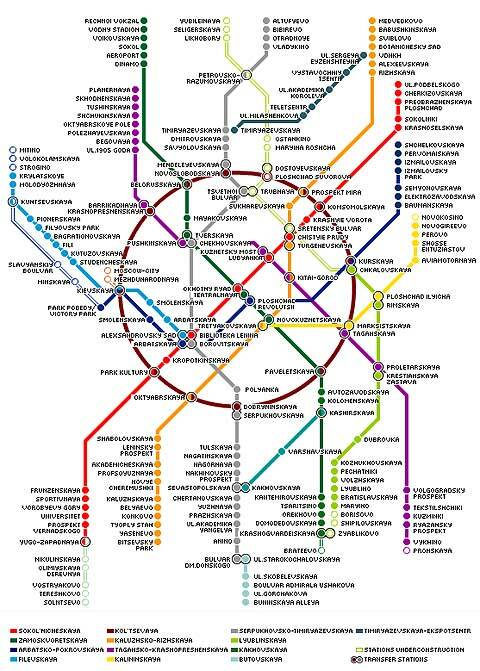 Moscow's Metro system is one of the highlights of the city - a far cry from the grotty tube stations of London or New York, Moscow's is more like a subterranean equivalent of the Louvre Museum. Vast hallways, each themed-up in true propaganda style, make the metro a must-see during your stay. Moreover, it's easily the fastest and safest way to get around town. 60 roubles (that's just over 2 USD) will get you a ticket valid for 5 trips of any distance. 5 trips cost much more than 60 roubles!